After perusing Star Wars: Thrawn, I was left hoping that Timothy Zahn would continue penning more adventures showcasing the incredible intellect, battle tactics, and personal fortitude of the titular Grand Admiral (who remains my all time favorite villain). I first assumed that Thrawn was going to be a stand-alone, but I sensed the potential for more. Thankfully, Thrawn became the first entry in a new series dedicated to Thrawn’s origins and backstory prior to the original Thrawn trilogy Zahn penned in the 1990s. 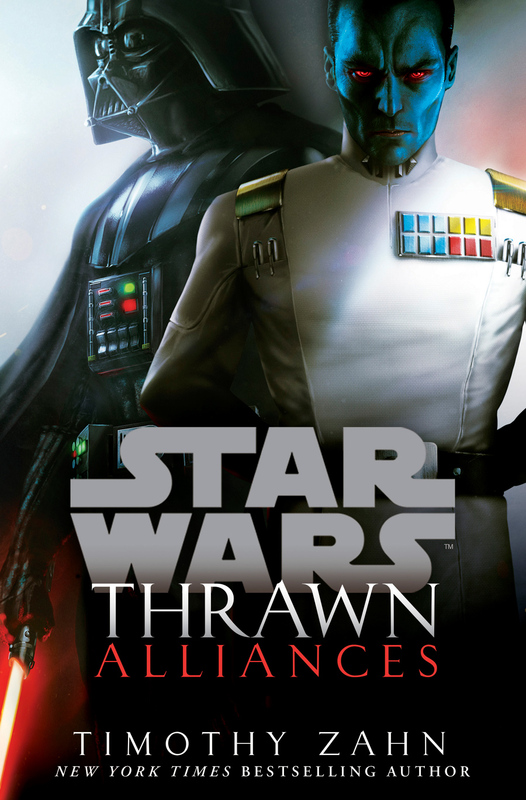 Hence, we have the follow up novel, Thrawn: Alliances, which adds yet another classic Star Wars villain to the mix, the dreaded Darth Vader himself. Unlike Thrawn‘s dual-sided plot that was related in real time, Thrawn: Alliances showcases a split narrative using flashbacks. While the principle plot focuses on Thrawn’s and Darth Vader’s mission in the story’s present day, the parallel plot focuses on a time when Thrawn (serving the Chiss Ascendancy) partnered up with Anakan Skywalker (the future Darth Vader) on a mission to an alien world. This ties into the present day narrative as Thrawn tries to subtly discern if Vader is actually Anakan Skywalker beneath his dark visage. Vader does not take too kindly to these attempts to resurrect old/painful memories, which also drives his dislike of Thrawn. To be fair, Thrawn does not antagonize Vader – he simply seeks to prove to himself whether Vader is the same person he once knew or if the man Anakan is lost forever. In the end, Thrawn discovers his answer, for better or worse. This split narrative propels the novel’s action as well as parallels the lives of its leads. Anakan’s plot shows him as separated from his beloved Padme (who eventually strikes out on her own to find him) and forced to work alongside an alien (Thrawn) he knows nothing about. However, it’s not a spoiler to reveal that his and Thrawn’s teamwork is less rife with tension than it is when the plot switches to the present-day’s showcasing of Thrawn and Vader’s dealings. Interestingly, Thrawn set the stage for Thrawn: Alliances as, in the first novel, Thrawn makes casual mention to the Emperor that he once met Anakan, whom he called a noble warrior, but is saddened to learn he has “died.” In that novel’s final pages, we see Thrawn’s introduction to Vader, though at the time the Grand Admiral doesn’t seem to suspect that both men – Anakan and Vader – are one and the same. Hence, part of Thrawn’s personal quest here is to uncover the truth and put some of his suspicions to rest. In this way, Thrawn: Alliances presents an interesting look into the concept and theme of self-identity and how this spills over into how other people choose to view and accept us. Concerning Thrawn, we can see a set up here that I sense will be explored more fully in the third installment, Thrawn: Treason (set to release in 2019) and possibly beyond where his loyalties to the Empire will be tested. One gets the sense that Emperor Palpatine isn’t fully convinced that Thrawn is in service to him solely for the Empire’s benefit but also to benefit Thrawn’s own people, the Chiss. Hence, moving the crux of the action to the Unknown Regions, from which Thrawn hails, is intended to see whether or not Thrawn will keep the Empire’s interests at heart. As stated in my review for Thrawn, Thrawn isn’t an evil or a morally bad person as he belongs to a category of villains I like to call Conflict of Interest. These villains, under different circumstances, might not have been villains at all and are only deemed as such due to their alignment against the story’s heroes, thus creating a moral conflict of interest. Thrawn fits perfectly within this category as what makes him a villain at all is that he serves the Empire. However, as we learn in Thrawn, his reasons for doing so aren’t for personal glory but the good of the Chiss. Seeing this put to the semi-test here is interesting and provides ground for Zahn to explore in subsequent novels regarding how Thrawn defines himself – as a servant of the Empire or a member of the Chiss Ascendancy. Thus, Thrawn harbors two “identities,” one as a high-ranking officer within the Empire and the other as an “exiled” officer from among the Chiss. Thrawn seems to have no trouble seeing himself as both; however, there are others around him (namely the Emperor) who won’t take too kindly to knowing he has split allegiances. To himself, Darth Vader sees Anakan like a second, old identity that is, for all intents and purposes, “dead,” much like how Holly strives to distance herself from her bucolic roots. However, that doesn’t prevent Vader from not recalling memories of his younger days, which functions as the internal conflict. The external conflict arises when Thrawn subtly tries to get Vader to recall his former “self” as Anakan Skywalker, the man Thrawn once met and was honored to work alongside. Though Thrawn never openly tries to drag Vader’s old self out of him, it’s clear he is trying to discern who resides behind Vader’s mask – the courageous Anakan Skywalker or the fearsome Darth Vader. In this way, Thrawn plays the role of Paul (from Breakfast at Tiffany’s) who strives to extract Holly’s true identity and sense of self. In the end, Thrawn reaches his conclusion with a sense of finality tinged with regret. It’s a sentiment readers can’t help but sympathize with, adding a degree of depth to a fast-paced space adventure story. Overall, Thrawn: Alliances is a solid follow up to the first entry in Zahn’s new Thrawn series, and I think it was a smart move to compare and contrast two classic Star Wars villains as well as shift the plot away from a political arena and more into a traditional space opera. Fans of Thrawn should not miss this entry as it’s a compelling sequel as well as a good set up for future stories showcasing the brilliant Grand Admiral Thrawn. Language – Very sporadic PG-level words (nothing worse than what one might hear in a Star Wars film). Violence – There are some typical sci-fi fight/action scenes as well as perilous moments where characters face sundry threats, from being captured/imprisoned to physical fights. The type of action here is akin to a Star Wars film and is devoid of graphic blood or gore. Elsewhere, Darth Vader has moments where he considers inflicting pain upon Thrawn, with whom he has a testy relationship, but ultimately he decides not to do so. Later, we are told that some children were kidnapped, but said children are eventually rescued and are unharmed. Seeing this book when it was initially released caused me to be curious about Thrawn as he’s not a part of the Star Wars film canon, so I wasn’t familiar with him. However, his name seemed to evoke a sense of genuine respect among fans, some of whom claimed he is an even better baddie than Darth Vader himself. Hence, I perused all of Zahn’s original Thrawn novels: the Thrawn trilogy (Heir to the Empire , Dark Force Rising , and The Last Command ); the Hand of Thrawn duology (Specter of the Past  and Vision of the Future ) Outbound Flight (2006) (which events occurs before the original Thrawn trilogy), and Choices of One (2011) and Survivor’s Quest (2004) (neither of which feature Thrawn much as a character, if at all, but I was so hooked at this point that I didn’t care). Before I launched into this novel, I had already proclaimed Thrawn as my favorite villain of all time. All Thrawn did was capitalize on these sentiments. While perusing Outbound Flight and the original Thrawn trilogy is helpful in grounding Thrawn’s character, they’re not absolutely essential before diving into this novel. Story-wise, Thrawn is a character study of Mitth’raw’nuruodo, an alien from among the Chiss who later simply becomes known as Thrawn. When the novel opens, Thrawn is discovered on a distant world and retrieved by Imperial forces who see him as both a prize and a source of intrigue. Emperor Palpatine is impressed by the blue-skinned alien’s level-headed demeanor and logic, so Thrawn is swept up into the Imperial Academy on an accelerated track to become an officer. During this time, Thrawn is accompanied by the rather unlikely Eli Vanto, an ensign who is basically assigned to be Thrawn’s translator and personal aide. However, both men’s lives ends up following a similar path. Comprising the novel’s secondary plot is the rise of Arihnda Pryce (a character introduced in the animated television series Star Wars Rebels), who evolves into scheming political upstart. While Thrawn and Pryce’s plot lines are initially distant, they eventually intersect and create a compelling character combination. The star of the novel is, of course, the Grand Admiral-to-be himself, Thrawn. Interestingly, even if the Star Wars elements were removed from this novel, it would still hold up as a fascinating science fiction character study that doesn’t present its central subject as a flawless figure. It would have been tempting to turn a Thrawn origin story into one that elevates him to a nearly impossible standard, but that’s not the case here. Zahn smartly balances scenes displaying Thrawn’s incredible Sherlock Holmes-esque intelligence and keen attention to detail with moments where he faces racism (for being an alien) as well as political red tape. Likewise, not every plan Thrawn devises succeeds as there are hurdles to navigate which Thrawn does sometimes well and sometimes imperfectly. However, even when he fails, Thrawn is a quick study who adapts to his circumstances and who knows how to learn from his oversights and the mistakes of others. Thrawn has always been upheld as a villain in the Star Wars canon simply because he serves the Empire rather than the Republic/rebels. However, he’s a villain in designation only as he’s never an evil character nor even a morally bad person. Thrawn belongs to a category of villains I like to call Conflict of Interest. These villains, under different circumstances, might not have been villains at all and are only deemed as such due to their alignment against the story’s heroes, thus creating a moral conflict of interest. Thrawn fits perfectly inside this category as he possesses many positive traits such as a high level of intelligence, incredible foresight, astute military tactics and strategies, a distaste of brutality for brutality’s sake, an ability to command respect, and a curious mind that appreciates and analyzes art. Thus, what makes him a villain at all is that he serves the Empire rather than the Rebels’ cause. Despite this, Thrawn harbors personal reasons for joining the Empire’s service, namely the ability to gather intelligence on potential threats and an opportunity to combat said threats should they pose as dangers to the Chiss. While this isn’t a motivation Thrawn lets known to too many people, it’s an inherent drive that urges him to do what he does in terms of big picture decisions. He isn’t an evil or a bad person: he’s simply chosen the wrong side in a conflict but has made this choice for, what he believes, is the good of his fellow Chiss. It is this aspect of Thrawn that the novel develops, piece by piece. Seeing as this is the first book in a series, we don’t get to glimpse Thrawn’s full background here. Instead, this novel lays the groundwork and sets up Thrawn’s rise through the ranks. It is worth noting that much of the “action” driving this novel is not space fights and shootouts (though there are a few). Instead, this is a more cerebral story where power plays – political and otherwise – take center stage. Ordinarily, these sorts of narratives don’t appeal to me, but what Thrawn does smartly is isolate its focus as to how these machinations impact or relate to Thrawn, especially as one such central power struggle evolves between him and a notorious space pirate. There is also an interesting parallel here between Thrawn and Arihnda Pryce. Both are treated as outsiders to varying degrees and both prove their mettle in different ways. However, both characters end up needing each other as Thrawn doesn’t grasp the concept of political backscratching, and Pryce wants some naval muscle to back up her own cause. On paper, it sounds like a testy relationship, but it’s one that’s entertaining to witness as it’s developed from the ground up. Certainly not to be overlooked is Eli Vanto. Eli shares some parallels with Thrawn as both are proverbial fish out of water as they come from different backgrounds than most of their Imperial compatriots and hail from galactic backwaters. Yet Thrawn’s and Eli’s arcs are neatly entwined. Eli starts out as Thrawn’s translator but later becomes a valuable aide and, in the end, a friend upon whom Thrawn entrusts with a mission (which the novel saves as a cliffhanger). 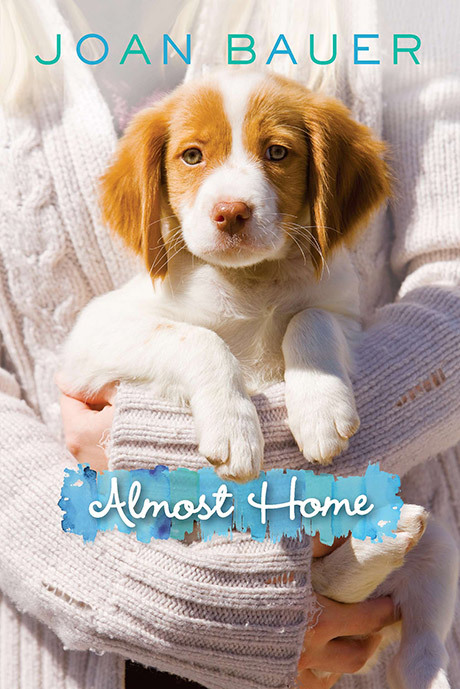 I enjoyed Eli as a character because he’s an everyman figure, someone whom readers can relate to. Initially, determined yet grounded and sensible Eli despises walking in Thrawn’s shadow but eventually comes to learn valuable lessons during his time waiting in the wings, so to speak. Likewise, Eli makes for a good gateway character for Thrawn to engage Human culture as the latter is sometimes marginalized simply for being an alien. In contrast, Eli treats Thrawn as a person and respects him for that alone, and it’s Eli’s actions that often put other’s treatment of Thrawn to shame. Speaking of which, I highly admire the way Zahn tackles the subject of racism in this novel as it never becomes a social justice soapbox. Instead, it’s a theme that is organically sewn into Thrawn’s story by default. Thrawn is an alien among non-aliens in the not-so-alien-friendly Empire. He is occasionally bullied, criticized, marginalized, and even attacked simply because he’s non-Human. But rather than use this as a sob story through which to wring readers’ sympathy or a means by which to hammer home a socially-conscious message, the novel has Thrawn treat these incidents coolly as he knows his inherent worth as a tactician and an officer stands on its own and speaks for itself. Revenge isn’t his modus operandi, and the best example of his levelheadedness in this matter is when he suggests that some former tormentors be reprimanded in a low-key fashion that speaks to his ability to read others and see their ultimate value. 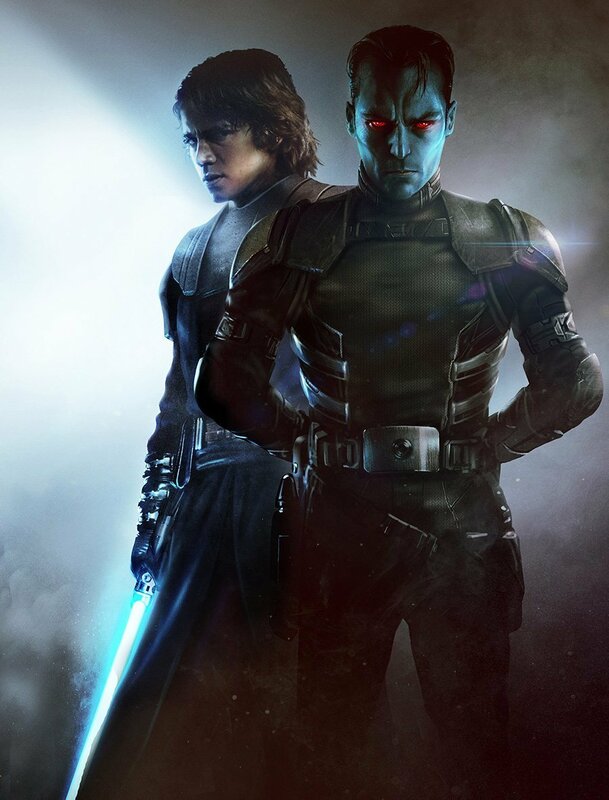 Hence, the novel depicts Thrawn as a self-motivated individual who is driven more by his own personal goals, sense of duty, and honor than bemoaning his lot or seeking reparation. 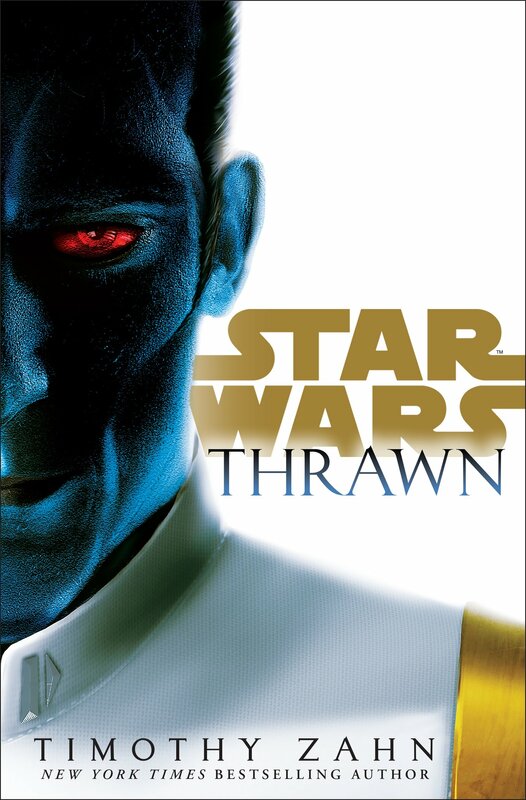 Overall, Thrawn is a fascinating look into the rise of one of Star Wars‘ best “villains.” I thoroughly enjoyed this book and found it to be a well-paced read that’s populated by smart characters and driven by an entertaining mix of power struggles, solid character development, and good old fashioned showdowns. Fans of Thrawn who want to see where his story began will likely enjoy this novel as well as novice fans who want to be introduced to the great Grand Admiral himself. I have to start out by giving props to Paolini, who initially drafted this story at age 15. Yes, I’m sure there is a question as to how much outside assistance he had in terms of penning it, but it still begs the question – how many 15-year-olds would even want to sit down and write a novel-sized work? Based on my experience, that would be next to none. That being said, yes, Eragon has its flaws, chiefly in allowing its inspirations to shine through a little too clearly. But I do agree with some reviewers in saying that this does make for a good introductory fantasy work, especially for young readers, as the young protagonist, dragons, magic, and sense of fun adventure seem perfectly in tune to that age group. For starters, what I enjoyed most about this novel was the human-dragon relationship. It’s quite common to depict dragons as villain creatures, so it’s nice to see this reversed where dragons become the heroes of a piece. Saphira is, without a doubt, a powerful being and not to be trifled with, but she’s also patient and tries to impart wisdom to Eragon. Eragon is also a likable protagonist and his relationship with Saphira is admirable and consumes the best parts of the novel for me. To be honest, it was this dynamic that kept this book from being just “okay,” hence my three-star rating as opposed to two stars. Granted, the plot is easy to take but it follows a very traditional destiny/quest structure and doesn’t do much to deviate from that or add anything new. Likewise, most of the characters are tropes: Eragon is the young, unsuspecting hero; Brom is the “wise old man” or teacher figure; Arya is the female lead/love interest; Durza is the dark villain; and so on. 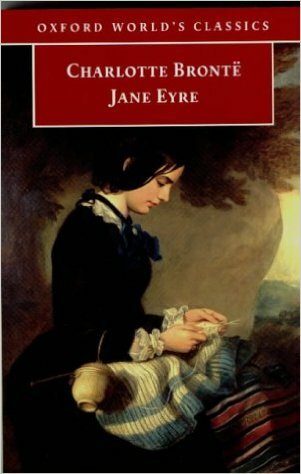 Hence becomes my biggest criticism of this book – its inspirational sources become a bit too apparent. Granted, certain types of stories (such as destiny stories or quest tales) bear hallmarks that are simply conventional; but I can take a slight issue with stories that don’t hide their mechanics, as it were. 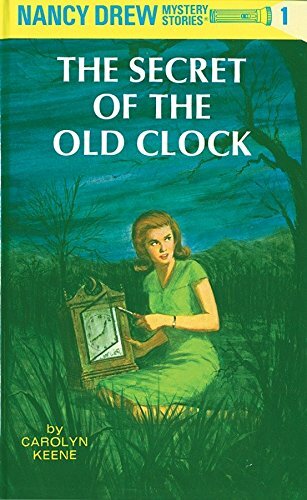 I had the same trouble with The Magicians and Mrs. Quent by Galen Beckett where the constant hearkening back to similar Gothic romance novels and Regency fiction (namely Jane Eyre and the works of Jane Austen) overshadowed the story. I say all of this because, for me, Eragon suffers the same fate. It’s no secret that its characters, themes, and plot were inspired by (and perhaps derived from) Beowulf (one character is even named Hrothgar); the works of J.R.R. Tolkien (try saying Eragon and not think of Aragorn – that’s happened many times to me while penning this review! ); and even Star Wars. Again, all writers are inspired by other writers and it’s okay to pay an homage. But you can’t allow your work to entirely be an homage (without openly calling it that). Does that mean Eragon is a rip off? No, I wouldn’t go that far; but many times it reads like a young writer’s tribute to his favorite writers and stories. Again, there isn’t anything inherently wrong with that, but you have to be graceful. Rowling, for example, pays homage to other writers, from Austen to Lewis to Dickens, but readers aren’t hit over the head with these references. They’re executed subtly and they’re not on every page. In contrast, Eragon is not so subtle and therein lies its greatest flaw and mental stumbling block for older, more seasoned fantasy fans – when compared to other fantasy works, this novel pales in comparison but it is by no means poor. It’s simply a generic, standard fantasy quest story that works but struggles to stand apart from the crowd of similar novels. 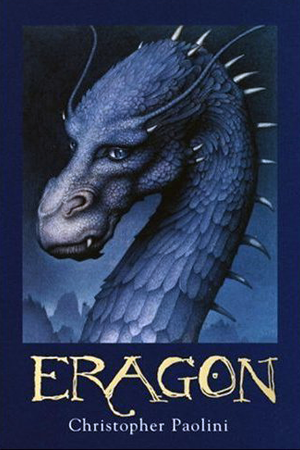 Overall, Eragon is a debut novel that reads like a debut novel as well as a debut novel by a young writer. It isn’t terrible and has its shining moments, especially regarding its treatment of dragons, but it borrows too heavily from fantasy conventions and doesn’t try to breath new or unique life into them. That being said, this novel would make a good pick for new fantasy fans, especially among the independent reader set seeking for a big book to sink their teeth into. For everyone else, it’s worth checking out just to admire the work of a young man who decided to use his time creatively and constructively, and that’s more than what I can say for most 15 year olds!